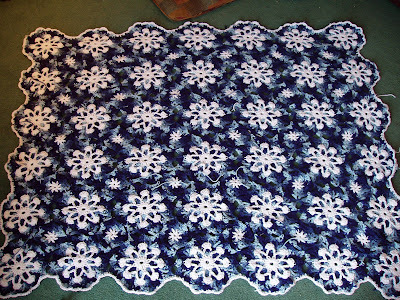 Very nice job on the snowflake afghan! Very nice. You do such great work. It's really annoying to find mistakes in a pattern. Don't they check that before publishing it? I reviewed a knitting book last year and found numerous errors in it. I was so disappointed. I made two items from the thing that turned out well, but I'm a bit scared to attempt something else. Wow Heather!! 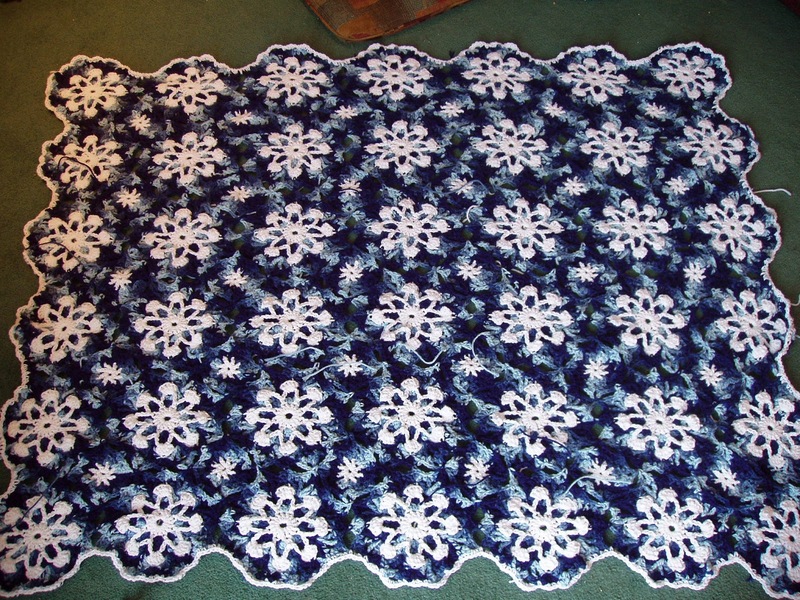 That is the prettiest afghan I have ever seen. You are so talented. Your niece will love it! Oh, this one is absolutely wonderful! I love those colours! Lucky niece - that is one gorgeous afghan. It would be hard to give that away. Thanks for the broccoli salad recipe - I printed it off, it looks yummy! The afghan is absolutely beautiful! I've got so many projects on the go I sometimes wonder if I'll ever get any of them done. lol.